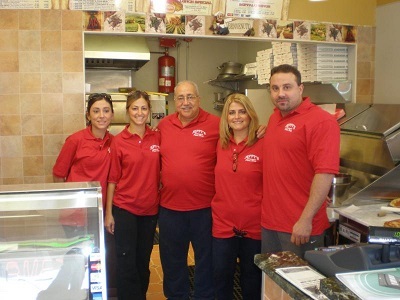 On June 24th, 2010 we celebrated our 16th anniversary as a New Jersey establishment providing fine Italian food to the Trenton/Hamilton area. 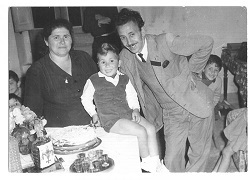 Giuseppe “Jeppy, a native of Italy, was born the youngest of six children to Antonino & Giulia Ciccia who all emigrated from Southern Italy in 1959. Jeppy grew up in a family environment where food was synonymous with the warmth of parental love. Every day and especially on Sundays, were always a time of getting together with family to enjoy a home cooked Italian meal. 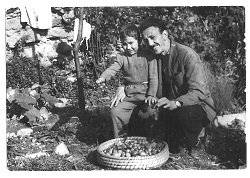 As a boy, Jeppy learned the value of good Italian food by watching his Mom and family put on the table rustic, authentic Italian specialties. Jeppy has been making pizza for more than 40 years and has learned and worked with some of the best restaurateurs from New Jersey and Pennsylvania. From his experience of working with the “best” he developed his own unique technique and recipes. On June 24, 1994, Jeppy opened his first Tomato Pie and Pizzeria Restaurant in the Chambersburg section of Trenton. Then, on October 18, 2010 he opened his second establishment in Hamilton Township. Together with the support of his wife, Cathy, son Antonino,and two daughters Elizabeth and DeAnna, Jeppy found the right ingredients which gave this successful business what it is today. 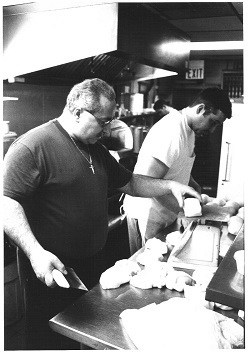 The tradition continues with Jeppy and his son Antonino, working side by side to provide their customers with the finest quality ingredients, combined with a warm and friendly smile.